Why Should Seniors Get a Second Medical Opinion? A 2005 Gallup Poll reported that only 44 percent of people have considered getting a second opinion, and only 3 percent always get one. Actress Rita Wilson says getting a second medical opinion may have saved her life. Wilson recently had a double mastectomy based on a second (and later a third, tie-breaking) diagnosis of breast cancer. Many people would automatically get a second opinion regarding car repairs, home maintenance or wedding planning, but why not a health diagnoses? Excuses range from trusting their doctor, not wanting to challenge their professional diagnosis, not wanting to hurt their feelings or even to insurance concerns. Of course, not all diagnoses are black and white and experts don’t always agree. A 2006 University of Michigan study showed that surgery recommendations changed for more than half of the breast cancer patients who got a second opinion. So how do you decide if you need a second opinion? Do Research: Do research and find information about the diagnosed illness or injury. The internet is a good place to start, but make sure to use reputable websites, such as the Mayo Clinic, Medscape, or John Hopkins. After reading about the disease and common treatments, it may help to see comments from other “patients.” While the experiences of others can often be really helpful, they can also be confusing. Keep in mind that no two cases are exactly alike – personal illness may be at a different stage and age, health, or lifestyle choices may be a factor. Get A Recommendation: Ask a trusted primary care physician for a recommendation on where to go for a second opinion. It’s best to go to a different office – possibly even a different town. Doctors are only human and may tend to back up a fellow professional. Double Check Insurance Coverage: Check with a health insurance agency regarding coverage, as it can vary greatly. Many insurers will cover the second consultation, but not the diagnostics such as x-rays, tests, and other procedures that have already been performed by the original doctor. It is important to send medical records to the second doctor, find out what he or she needs, and be sure to request them with plenty of time. What if the insurance won’t cover a second opinion? Experts suggest to speak directly with the medical director and give reasons. If that doesn’t work, make an appeal to the grievance committee. Seniors on Medicare, can go to www.Medicare.gov/physicianscompare to find out what would be covered. Questions To Consider: After getting that second opinion, what happens if the doctors disagree? Unfortunately, there’s no cut and dry answer to that. Some questions to ask would be: Who should be trusted more? What are their credentials and/or experience with the illness or injury at hand? What is involved with each course of treatment? Ask each of the doctors to explain how they reached their diagnosis and treatment plan. Would waiting be risky? Could immediate treatment have negative results? Can a third opinion be given? Discovery Village Senior Living communities make sure their residents are in good health and good spirits by providing them with access to a 24-hour professional team and on-site medical director. 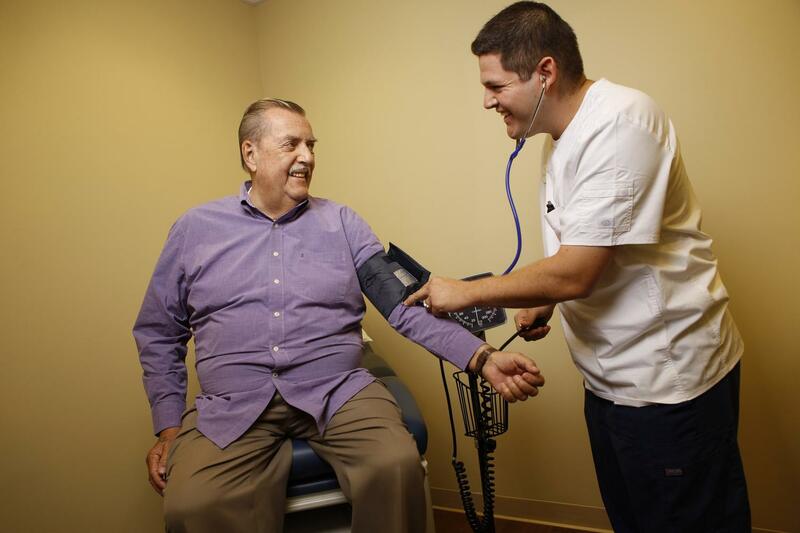 Discovery Village communities also provide concierge services and complimentary transportation to ensure residents make it to their scheduled doctor appointments.